Psychic reading which is also termed clairvoyance is the modern description of the ancient art of foretelling. Even the ancient emperors and queens used to consult psychic readers or clairvoyants who were also considered as human oracles to find out fruitful information about their future or help them with their love life. Psychic readers are considered to possess special insightfulness and intuition through which they can understand the feelings of their patients and help them with relationship issues. The concept of psychic reading is more than a century old and was introduced in 19th century as a method of foretelling by certain clairvoyants. Though lot of fraudulent psychics who deceive people about having special powers exist, there are certain genuine clairvoyants who can help you realize your inner-self and lead a successful life. However, there are plenty of myths revolving around psychic reading some of which are incorrect. This is the most common myth prevailing around psychic reading. There are some fraudulent psychic readers who promote themselves by falsifying their ability to read the minds of their patients. You should not expect psychic readers to be able to read everything that is on your mind. You can’t expect psychic readers to answer silly questions like “What is my date of birth?” or “How many fingers am I holding behind my back?” Psychic readers won’t be able to find out whatever you are thinking and can’t reach inside your mind. Psychic readers can only understand how you are feeling and what is that you need in life. They can give you specific insights about your feelings and aspirations. They can help you in achieving your dreams by igniting the spark within you. It also depends on how positive and willing the patient is to share his feelings to the reader. The patient should be energetic and open minded so that psychic readers can get an insight of your feeling using their gift of empathy. Genuine psychics are said to possess extra sensory perception through which they can access your spirit guides and help you lead a successful life by making you feel more confident. They will help you get rid of negative energies surrounding you and give you deep insight about your feelings. Many people misunderstand that psychic reading is all about predicting their feature. It’s really not possible for psychics to define or predict your future since it’s more about your choices in life and things can change based on your actions. They can just give some idea about how your future is likely to be based on your present situation and past experiences. 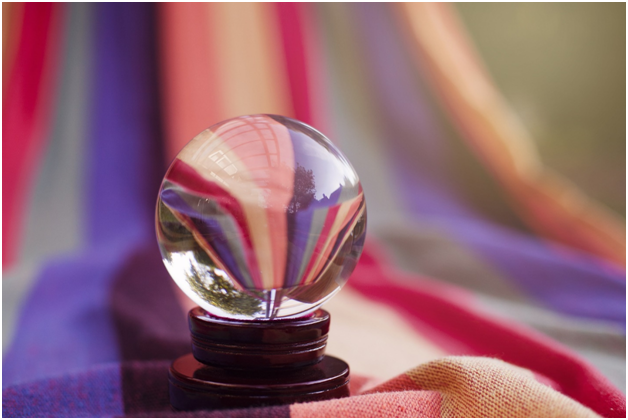 Psychics can’t help you in predicting your future. They can just provide deep insight about your thoughts and help you take the right decisions in life. There are talented online readers from Australia who can access your spirit and energy guides through which they can understand your current feelings and what you really desire in life. They can give an idea of what to expect in your future and guide you towards the right path. Your future can be defined only based on the choices you make in life and your decisions. Psychics will inspire you to open up your mind towards new possibilities and help you achieve your dreams. Psychic readers can read your facial expressions and body language that will help them understand how you feel internally. Cold reading generally refers to techniques used by psychics and other professional manipulators to make the patients believe that they have special abilities and know much more about the patient than they actually do. But not all psychic readers are fraudulent and there are some genuine readers who really intend to help their patients using their special abilities. Psychics can read the energy signals expressing your fear, anger, depression, happiness or anxiety through their clairvoyance and understand what exactly you desire to become happier. 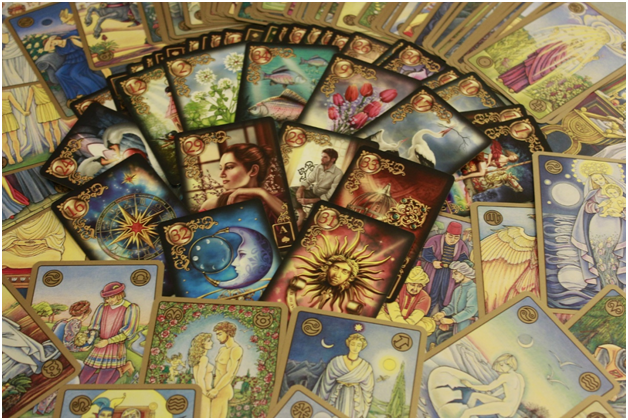 Some professional readers use cold-reading along with other reading tools such as palm-reading, astrology or tarot card reading for illustration purposes. Cold reading can be used for building rapport with the patients and to get along well with them. Only fraudulent psychics use such cold reading techniques to fool people in believing that they have special powers just to make money. It is also believed by some people that psychics can connect with spiritual world while there are debates going on about the existence of spiritual world. But it’s really not possible for any human being to connect with other dimension. Psychics are normal human beings who can’t do such supernatural things and don’t possess any special powers to connect with spiritual world. During the early 19th century it was believed that psychics could move a dead body or any other object without using any visible exterior force. But these are just myths and some cleverly manipulated tricks used by fraudsters to fool people. Many fake psychics claim to have this ability and use certain tricks similar to those used by magicians just to attract the crowd. Psychics are just normal human beings and some are born with special powers and it has been scientifically proven that psychics could provide deep insights about the feelings of patients. Even certain law enforcement agencies and government organizations have used psychic readers for assistance with their investigations with high success rates. Not all psychics are born with natural abilities and it can be improved with practice. Genuine psychics have extra sensory perception which helps them interpret signals which other individuals are not able to discern. Psychic readers generally focus on precise areas of concern as requested by the patient obtaining the reading. It has been believed for long time that psychics could cast a spell on their patients or they can remove existing spells. It is also considered that psychics can curse the patients and their relationships. There is no evidence that psychics can cast spells or curse the users and it’s never been scientifically proven. Also some users are afraid that psychics might tell something bad or horrible might happen in their life which is also not true in all cases. Psychic readers can help you find your true love based on your personality analysis and help you in building stronger relationships. Some psychic readers use tarot cards for helping you find your soulmate. They could help you understand the dynamics in your relationships whether it can be business, personal or romantic and help you resolve the relationship issues. Kasamba’s psychics are the best love psychics who can answer all your love and relationship questions in real time and provide deeper insights about how to find your soulmate. Kasamba’s psychics can also counsel and assist you with career building and brainstorming new ideas. They can also help you in healing your sorrows and dealing with difficult situations in life.